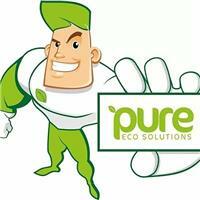 Pure Eco Solutions Scotland Ltd SC452452, Service You Can Trust! My name is David Milne and I am the Managing Director of Pure Eco Solutions Scotland Limited, if you have any question you want to ask me personally feel free to call me on 07834 041480. Based in Glasgow serving Scotland since 2013, customer feedback is what we model our business on and is one of the main reasons we continue to grow in the Scottish home improvements industry. We have a range of payment plans available including pay monthly & buy now pay later offers. With specialist fitters in all of the areas listed above and memberships of several trade accreditations so you know you are dealing with fully approved professionals. We are members of Gas Safe, NAPIT, MCS, Green Deal Installer & Assesors, proPERLA Wall Coating Specialists as well as being accredited members of HIES which means you are protected by the HIES quality guarantee.